Growth in jobs, businesses and tourism is leading up to another golden year in Santa Clarita, but city officials said Tuesday it’s also a time to prepare for uncertainty. “As many of you know, predicting the next recession is impossible — but although this data seems positive for the economy, there are some indicators that favor a correction looming in the next few years, and that’s something that we really want to pay attention to,” City Manager Ken Striplin said during a budget study session. Around this time of year, many agencies, including the Santa Clarita Valley Economic Development Corp. and the Los Angeles County Economic Development Corp., put together economic forecasts. Data published offers a valuable outlook on what’s to come within at least the next 12 months. The report also predicts the state unemployment rate will rise to 4.5 percent in 2020, up from 4.1 percent in 2018. State growth is forecast to be more than 3 percent in 2019 and just below 3 percent next year. By the end of 2020, home-building will reach about 140,000 units per year, but the state is facing an exodus out of California due to the high cost of living. California’s economy, including in Santa Clarita, is “a little more positive” than national data, said Striplin. The state and local economies are expected to grow faster than the national economy, which is forecast at 2.6 percent this year. In Santa Clarita, the number of jobs have steadily increased over the past few years, with almost 100,000 jobs. This is up from 98,400 in 2018 and 83,000 in 2015. The unemployment rate is at 4.5 percent, a slight increase from last year but still demonstrating a steady improvement. When it comes to businesses, Santa Clarita has grown to more than 7,000. Over the past recent years, the area has welcomed many retailers, such as Nordstrom Rack and businesses like M.S. Aerospace, which have helped push the area’s aerospace industry count to about 90. Growth is still in the forecast with incoming developments, including the county’s largest industrial business park located in Newhall: The Center at Needham Ranch. Much like in 2018, the film and tourism industries are starting off strong in 2019. A more than $30 million in estimated local economic impact is expected this year once again, as well in tourism with about 60 events, including the Amgen Tour of California. The city recently received its quarterly report on sales tax revenues, the city’s largest revenue fund, which showed the first decrease of about 2 percent after many years of growth, said Striplin. The city manager said some potential issues he is keeping a close eye, which could affect the local economy are auto sales. 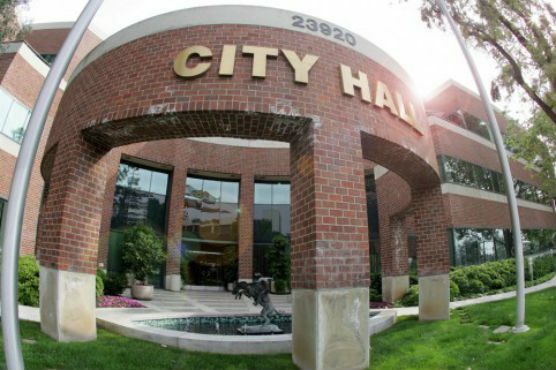 “Auto sales is our single largest category of sales tax producers in the city of Santa Clarita, so this is a concern for us as we move forward,” he said. Online sales is another. Last year set a new record for retail closures nationwide as businesses vacated 145 million square feet of space, including locations in the SCV, such as Sears and Kmart.